Scuba diving and island hopping with Bohol Fun Divers – we are the new PADI 5 STAR DIVE RESORT in Bohol and offer scuba diving, PADI Dive Courses, beach resort accommodation, dive safaris and dive travel in Alona Beach, Panglao Island, Bohol, Philippines. 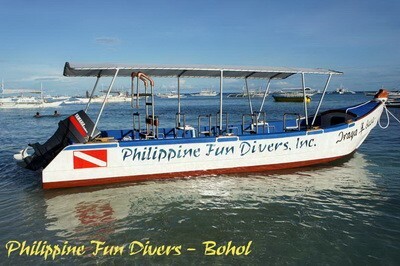 Philippine Fun Divers: Scuba Diving and dive related activities are our specialty. Philippine Fun Divers, one of only a few PADI 5 STAR DIVE RESORTS in the area, is under German management and Holger Horn, the Managing Director, is a PADI Master Instructor who knows the Philippines since 1986.